Not only the general customers, the corporate customers in some segment not happy with cloud software. Several surveys revealing that the price policy and the license models are in the criticism. More and more are thinking about switching their software suppliers. Most of the studies on average, the surveyed companies are used wit both the license agreements with on-premise service providers and switching to cloud version. On average there are two in the cloud sector. While Microsoft, Oracle , VMWare, SAP and IBM are the most important suppliers in the on-premise sector, in the cloud segment Microsoft has a clear nose, followed by Amazon and Salesforce (23 Percent). According to the study authors, the behavior of the cloud providers shows monopolistic traits despite increasing competition. But in the face of rising prices, provider switching would be more economically attractive. Which probably will get the cloud market moving. The most satisfied are the respondents with Cisco, VMware and Microsoft, least satisfied with Oracle. Here too, many of users are work on exit plans, suggesting the others to think about on-premise via own blog publications. SAP is also slightly below average with a satisfaction rate. According to many, price policy and inflexible on-premise license and contract models are the main stumbling blocks. Approval rates falling. The willingness to extend contracts also falling. The vendors should not rely on the dependency of customers and it can be assumed that beyond a certain pain threshold despite all the difficulties the provider is changed. However, not all of the segments equally affecting sales instead some has good growth. 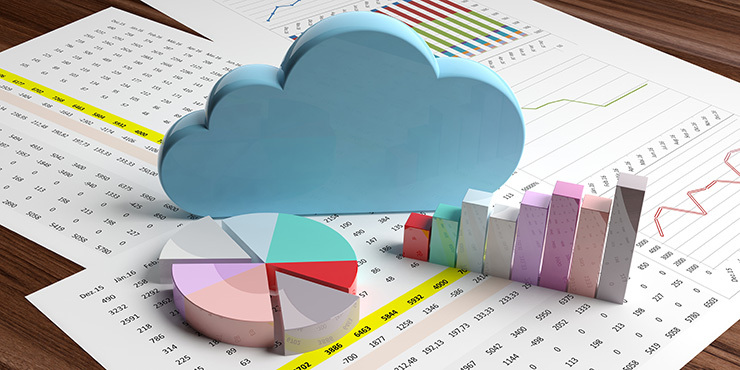 According to a new report published by Allied Market Research, titled, Cloud-based ERP Market by Component, Function, End User, and Industry Vertical: Global Opportunity Analysis and Industry Forecast, 2017-2023, the global cloud-based ERP market growing at a CAGR of 13.6% from 2017 to 2023. The services segment is anticipated to grow at the highest rate. This Article Has Been Shared 2937 Times! Virtual Private Cloud or VPC is a cost effective solution to create a Private Cloud Computing environment on a Public Cloud. It can be created by the end user. Here is Third Part of Virtualization Requirements for DevOps. We will give brief idea about the benefits of virtualization as end of this series of article. Cite this article as: Abhishek Ghosh, "Cloud Software vs On Premise Software : Users are Less Satisfied," in The Customize Windows, March 24, 2019, April 18, 2019, https://thecustomizewindows.com/2019/03/cloud-software-vs-on-premise-software-users-are-less-satisfied/.